Prof. Corradin graduated with honors in Medicine and Surgery at Padua University School of Medicine and specialized in Sports Medicine at the same university. After several years working at the Physiopathology Respiratory Department of Padua hospital he devoted himself to the study of Natural Medicine and Chinese Medicine. He also studied scientific and energy dietetics which he has taught in various natural medicine courses. He also studied and taught Acupuncture at the SAN LI School in Rome and Manual Medicine and Posturology at AIRAS (Italian Association for Research and Scientific Updating) in Padua. 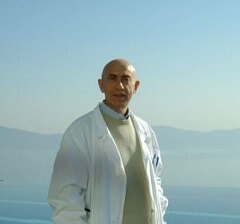 In 1997 he received the FISA (Italian Federation of Acupuncture Schools) qualification as a teacher of acupuncture and complementary techniques. Not only has he published articles for popular magazines but has also taken part in television broadcasts on national channels. He currently works as medical doctor at Lefay Resort & SPA and is the President of the Scientific Committee Lefay SPA Method.